Theme weeks are various themes that we incorporate at our camp wide assembly (sing song) each day as well as Arts & Crafts during the week. We also have camper auditions once a week for a chance to show off talents on a camp wide stage. 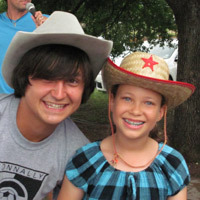 Fridays' campers can come to camp dressed up as the various theme if they desire.